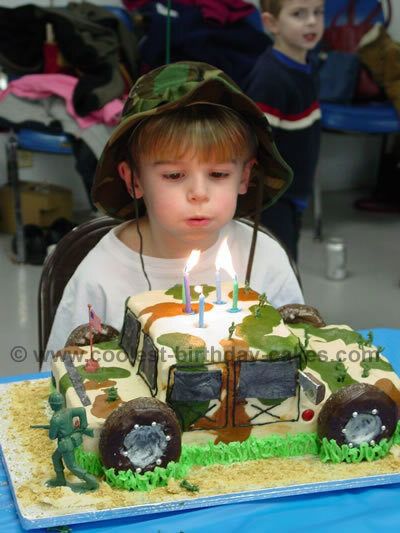 Thanks to this site for kid birthday cake ideas. 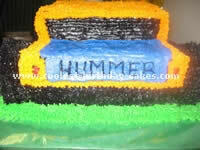 This Hummer cake was copied from other cakes on this site made with a 9×13 bottom layer topped with a 9×9 top layer (just made a pound cake recipe). I trimmed the 9×9 down to probably 9×8 to make the "hood" a bit deeper. I then piped various camo-type colors (I tried to match a camo t-shirt). 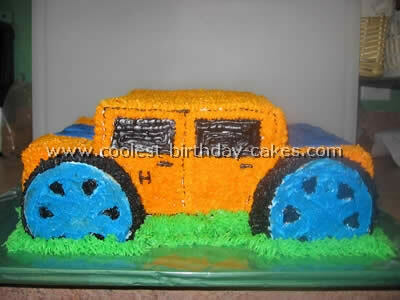 The colors were made with Wilton decorating colors in Wilton pre-made icing. I piped with tips that have a flat edge (the basket-weave or the tear-drop tip) with the smooth edge up. Then I used my finger tip to smooth the patches of color. To make it more "realistic" I put the cake board up on a cardboard frame (think: waterbed frame) that was smaller then the cake board. Then the tires are made of moon pies with the center part sliced out to the center filling. These are mounted to about the half-way point so that they are just touching the table. I pushed toothpicks into the moon pies about half-way and then those into the cake for a bit more stability. 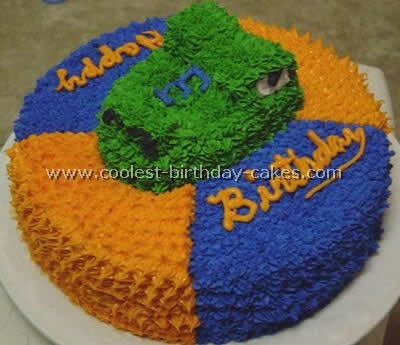 Bake a 9 x 13 cake and 2 8×8 cakes. Stack smaller cakes on top of each other and then on top the larger. Frost army green and add splotches of browns for camo effect. Outline with black frosting from a tube. Cut moon pies in half for tires and chocolate graham cookies for the windows. 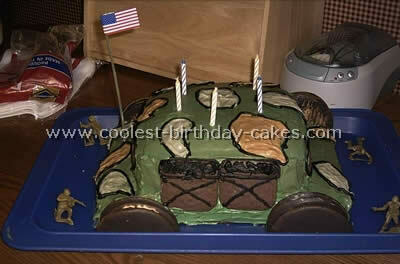 Add a U.S. flag and some army men and you’re done!! 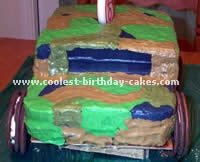 Easy kid birthday cake ideas. 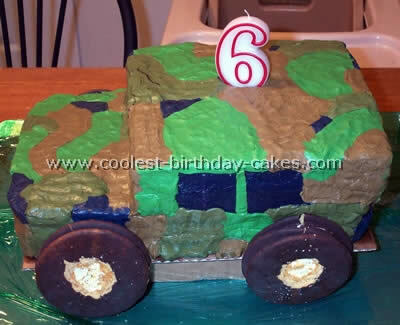 I searched for kid birthday cake ideas until I found this hummer (which is actually an army vehicle). 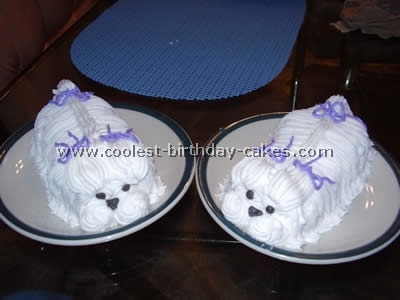 I baked 2 whole cakes and put strawberry filling and icing around them. I placed one layer on top of the other. I made yellow, blue, black, red and green icing (icing is easy to make).I made the rims with round cookies that I baked. I put edible glitter on them and placed them in sugar. 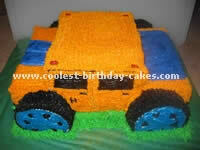 For the tires I made an extra cake and made circles and used icing to get the rims to stick to them.